The rules of being a Lakers fan used to be so easy. You would watch as wins accumulated, cheer for superstars and, if the season didn’t result in an NBA championship, find comfort in the knowledge they would be in the hunt next year. But supporting the Lakers has become a more nuanced affair the past three years, as Kobe Bryant’s career has slowly, but certainly, neared its end. For example, it was fair to wonder last season whether it was better for the Lakers to win, or enhance their lottery hopes by losing. The last superstar has scarcely been on the court. So maybe you’ve had to learn what else is on TV on Sunday nights, a window previously reserved only for the 16-time champions. The biggest change now is that supporting the Lakers requires patience, a virtue that will become even tougher this week when Bryant takes the floor for his 20th, and perhaps final, Lakers training camp. Following the Lakers is akin to tracking numerous threads in a complex novel, with all the storylines. As for the instant gratification enjoyed in seasons past? That’s been off the table for a while. This season might ultimately be about victories that come years down the road. Hibbert is looking to rediscover his game after falling out of favor with the Indiana Pacers. He recently put his Indiana mansion up for sale. After January shoulder surgery, Kobe Bryant was finally given total medical clearance near the start of his 20th season. The tone in Metta World Peace’s voice hardly harkened back memories of his infamous press conference after the Lakers won Game 7 of the 2010 NBA championship. Then, the former Ron Artest thanked his psychologist and expressed gratitude that Kobe Bryant passed him the ball that set up a critical 3-pointer in a performance that forever cast him in Lakers lore. This time, World Peace sounded fairly even-keel for the Lakers signing him to a one-year, non-guaranteed deal worth $1.5 million for the 2015-16 season. Will that change on Monday? The Lakers will hold their annual media day on Monday afternoon, before flying out to Hawaii for training camp. With 19 players currently under contract, the team will need to trim down the roster to at most 15 before opening night. The Lakers have 12 players with fully guaranteed contracts, and a lot to decide before the end of October. Monday is Media Day for the Los Angeles Lakers, which means the 2015-16 LA Lakers will dress up in their jerseys for the first time and kick off a new season. The madness of Media Day involves interviews and photo sessions in a frenzied atmosphere that features cameramen and reporters showing off their basketball skills by boxing out for position and playing through the contact. Players take turns getting mobbed by the media, and the annual raucousness surrounding Kobe Bryant would have most rioters concerned about safety. 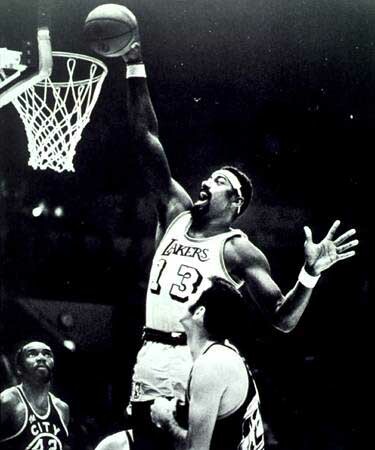 Throughout the team's illustrious history, the Los Angeles Lakers' star players have always had a signature move -- an image we associate with them as soon as we recall their name. For Kareem Abdul-Jabbar, it was the sweeping sky-hook. Magic Johnson had the no-look pass. Shaquille O'Neal just dunked all over people because they couldn't stop him. For Kobe Bryant, it is the crazy, clock running down, three men draped all over him fade-away jumper. Yes, those ludicrous shots that have the whole arena shouting "NO, NO, NO, YES!!!!" Despite shooting only 33.4 percent on three-pointers through his career, Kobe sure doesn't like to make his long range attempts easy on himself, and has taken enough ludicrously difficult ones for an entire video highlight reel, as it would happen. As the Los Angeles Lakers approach the end of yet another tumultuous offseason that witnessed innumerable ups and downs, including the retention of the Lakers' draft pick, the surprise draft choice of D'Angelo Russell over Jahlil Okafor, and the vagaries of a stressful and at times embarrassing free agency saga that was finally resolved in a manner more or less acceptable to all of the parties involved, the team faces yet another series of storylines in winnowing what will likely be a 20-man training camp roster down to 15 players. Lakers media day live updates: What's in store for next season? The Lakers' season officially starts today, with the entire team gathering for media day in El Segundo, where they will talk about the hopes and dreams for 2015-16. We will have five reporters on hand, and Alex Shultz will give you the worm's-eye view right here on this blog beginning at 1 p.m.
For the 20th and possibly final time in his career, Kobe Bryant opened training camp with media day on Monday. With the Lakers' having a combination of young players such as D'Angelo Russell, Jordan Clarkson and Julius Randle, and veterans like Roy Hibbert, Lou Williams and Brandon Bass, Bryant is curious about the season ahead. "It's a big question mark. We have a lot of young guys," he said. "It's a good mix, though. We have some veterans as well, but guys who have never played together before. Bryant said he won't know his role on this version of the Lakers until the team starts practicing and playing together. To a degree he'll act as mentor to the team's youth, but how that will translate to the floor remains to be seen. As Kobe Bryant prepares for his 20th season with the Los Angeles Lakers, there is plenty of excitement surrounding his return from injury and the young core of D’Angelo Russell, Julius Randle and Jordan Clarkson. While the Lakers are not expected to make the playoffs this season, Kobe staying healthy and the young core developing at a nice rate could make things interesting in the Western Conference. Kobe: "The important thing is these young guys develop and to be there when they have questions." The Lakers have high hopes for D'Angelo Russell, the Ohio State guard drafted second overall in June's NBA draft. Russell struggled through summer league in Las Vegas, averaging more turnovers (5.2 a game) than assists (3.2) while shooting just 11.8% from three-point range. "I'm eager to be my best, so fast. That's what really gets me in trouble," said Russell on Monday, at the team's annual media day. "I'm just realizing I'm 19 years old and I'm playing in the best league in the world," he continued, acknowledging that he's extremely hard on himself. Russell has spent the rest of the summer in the gym and is confident the results will be on display when the team hits the court again. "I've just been working hard," he said. "I don't really want to talk about it, I just want to showcase it and just prove it." The first thing you noticed about Kobe Bryant were the shoes. He showed up at perhaps his final Lakers media day Monday wearing odd-looking basketball sneakers that crept up his ankles like the footwear of a heavyweight. "I want to feel like a boxer," he said. The next thing you noticed about Kobe Bryant were the shrugs. This is a man who has made a career out of never being uncertain about anything. Yet, as he begins his 20th Lakers season in the stance of a fighter, he admitted he will be throwing punches into darkness, this last battle against mortality conducted with a blind fury toward an unseen opponent. He could score a knockout, or be knocked out. He has no idea which. Is he going to retire next spring? He shrugged and said he didn't have a clue. "I thought about it a little bit in terms of what is the deciding factor, how do players actually know when it's time to hang it up, really, how do you truly know?" he said. "I don't know." The Lakers’ star walked through the practice court with the usual bluster. Kobe Bryant also met the usual fanfare with cameras and reporters shouting questions and latching on to every word. But underneath Bryant’s outward confidence and the attention surrounding him during the Lakers’ media day, the Lakers’ star conceded uncertainty on several fronts. It started with how the Lakers will fare entering the 2015-16 season with a roster headlined by the 37-year-old Bryant, seven-year forward Roy Hibbert and a crop of young players in D’Angelo Russell, Julius Randle and Jordan Clarkson. The uncertainty continued with how Bryant will have to adjust his role after nursing three season-ending injuries in consecutive seasons. San Antonio Spurs forward David West received quite a bit of unnecessary criticism when he turned down his $12.5 million player option with the Indiana Pacers to sign a $1.4 million veteran's minimum deal with the NBA's most admired franchise. West wants to win a championship; no organization can bring their players closer to the mountain top than the Spurs. But another reason for the pay cut was West's disgust with how his former team treated Los Angeles Lakers center Roy Hibbert. Indiana aired its dirty laundry out in public and told the world their longtime defensive anchor would hit the bench if he opted into his player option and stayed a Pacer in 2016. Yesterday was media day for the Los Angeles Lakers, which means it was Kobe Bryant‘s twentieth media day. Lakers legend Kobe Bryant is known for how likes to take the shot whenever possible. He's currently third all-time in field goals attempted (25,087) and has been either No. 1 or No. 2 in that category from 2004-05 to 2012-13 (he's missed multiple games the last two seasons, otherwise he'd probably stay up there). In fact, he was third on the Lakers in shot attempts last season (713) despite only playing in 35 out of 82 games. So it should come as no surprise that he told rookie and Lakers second overall draft pick D'Angelo Russell to give him the basketball. "He told me he likes to shoot the ball," Russell said, via the Los Angeles Times. "So if I give it to him, it's his job to finish it." Before they play together in an NBA game, Lakers rookie point guard D’Angelo Russell found a practical solution that will accelerate any adjustment period with Kobe Bryant. Russell requested to have his locker next to the Lakers’ star. The Los Angeles Lakers headed into the NBA Summer League with a roster made of a lot of players that would see considerable minutes during the upcoming 2015-16 NBA season. Julius Randle is one of those players with the second-year forward potentially being a starter for head coach Byron Scott in the season opener on Oct. 28. Although Randle’s performance in Summer League left something to be desired, the 20-year-old has been working extremely hard since July to get it right. Randle has been working with veteran Metta World Peace and receiving high praise for his progression over the last few months. The Lakers met the media on Monday before flying to Hawaii to begin training camp. Undrafted center Robert Upshaw, who has just $35,000 of his two-year, $1.4-million minimum contract guaranteed with the Lakers, hopes to make a strong enough impression to earn a roster spot. "I know I can play basketball at this level. It's just a matter of keeping my focus on the prize ahead," Upshaw said. "In the last two weeks my extent of play has just been through the roof, and the coaches have given me the same feedback, it's just a matter of consistency. "It's just a matter of doing the right things when you need to, when nobody is looking." On the court wasn't an issue for Upshaw at Washington, where the 7-footer averaged 10.9 points, 8.2 rebounds and a dominant 4.5 blocks a game. Where he struggled was behind the scenes, breaking team rules that got him ejected from his second college program, after a prior dismissal from Fresno State. The season had officially begun just hours earlier, but Byron Scott couldn’t stop praising a Lakers team of which very little is expected. Asked how confident he was that the Lakers would be better than the 21-win team of last season, Scott smiled. He commended his players for showing up physically prepared for Scott’s grueling conditioning drills. He named Kobe Bryant, Jordan Clarkson -- "who seems to never get out of shape" -- D'Angelo Russell, Tarik Black, Ryan Kelly, Brandon Bass and Roy Hibbert as being especially fit. That hasn’t always been Scott’s experience. “Usually I have a couple guys that are throwing up,” he said. Well before anyone else stepped on the court, Kobe Bryant entered the gym and performed something that has defined his 19-year NBA career. He shot the basketball. Bryant performed that routine by himself for an hour before the Lakers began training camp Tuesday afternoon at the Stan Sheriff Center, marking his first practice since needing season-ending surgery on his right shoulder nine months ago. Lakers coach Byron Scott maintained Bryant’s pre-practice shooting session “did not bother me one bit” even if the Lakers’ star has nursed season-ending injuries in three consecutive seasons. That’s because Bryant skipped portions of the Lakers’ sprinting and team shooting drills. Then, Bryant sat on a trainer’s table icing his shoulder and receiving massage therapy, a routine he says he will likely follow throughout the 2015-16 season.